Campus Recreation, Student Wellness strives to provide innovative wellness programs for the campus community. We work to empower students to strive for health and wellness while maintaining a sense of balance. Achieving and sustaining wellness is an active and dynamic process which involves becoming aware of and taking steps toward a healthier, happier, and more satisfying life. 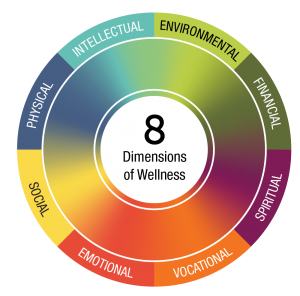 The student wellness program focuses on Healthy Campus 2020 and the 8 dimensions of wellness to inform program offerings. Through purposeful collaborations with wellness partners on campus, we are excited to provide resources, information, and programming for a diverse student population with unique needs. 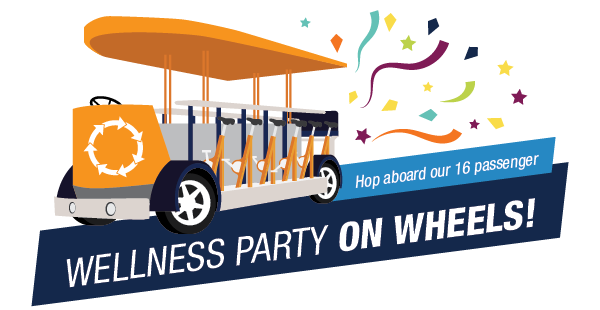 Check out even more Student Wellness Events and Workshops!